Artist Super Market/Rope Press created this brilliant paper mache comic island at Grand Union as part of Digbeth First Friday. 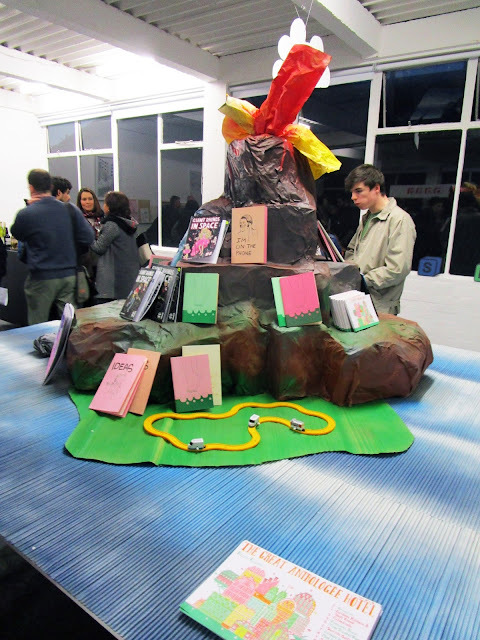 I regularly print risograph music zines with Rope Press and was asked to bring along some comics and zines for the installation. You can also see Nathan Hill's Hotel Anthology on the right hand side of the photo. It was great to have a little flick through before the comic is ready for distribution.